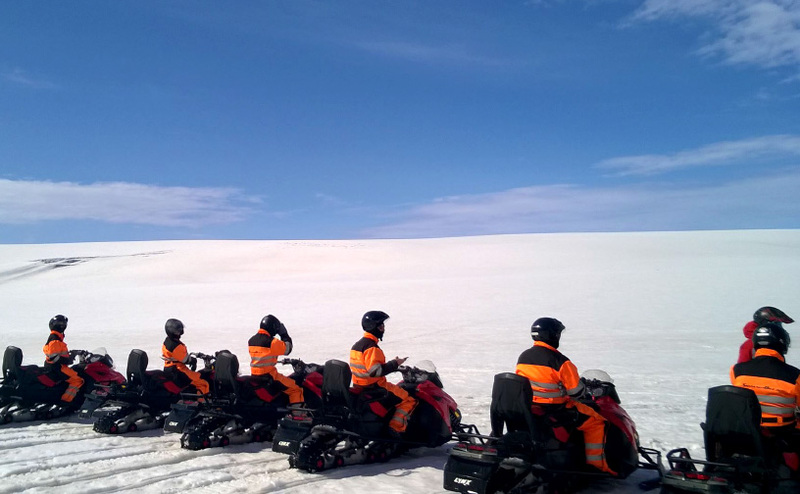 Uniting over 1000 Icelandic travel operators in a single community, Guide to Iceland remains the world's largest collaboration for Icelandic travel services. 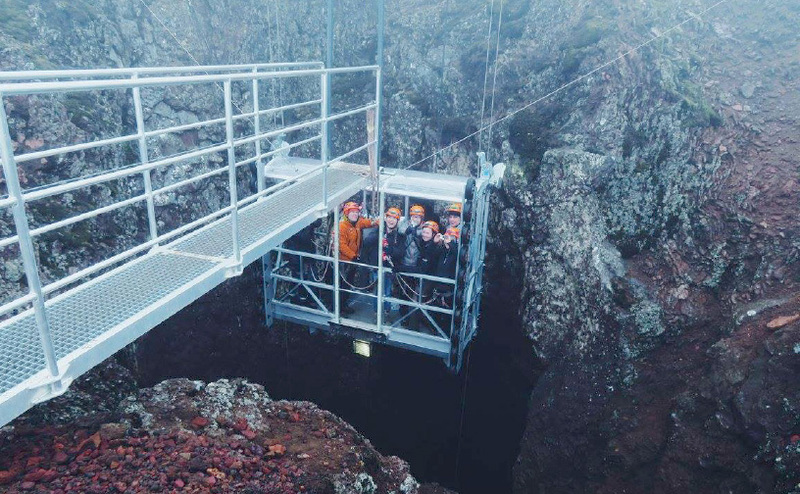 Our online platform provides unprecedented access to customer reviewed tours, accommodation and rental cars in Iceland, as well as unique packages, customised to meet the wishes of seasoned and first-time visitors alike. With a wealth of resources, presented in eleven languages, Guide to Iceland stands out as the most comprehensive source for Icelandic travel information in existence—featuring everything from in-depth articles to extensive travel blogs—and offering the chance to connect directly with locals for expert first hand guidance. We consider ourselves extremely fortunate for the opportunity of welcoming visitors from across the world to this tremendous land, in this tremendous time, and we will continue to provide you with everything needed for the magnificent journey that is ahead. We are at your service. 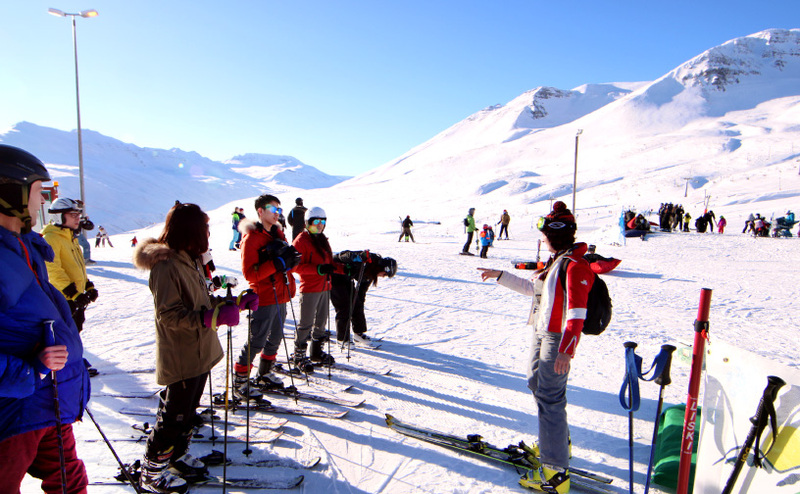 Compare tours and read reviews to find the best service and prices in Iceland. Book all your tours & packages in one place in the world’s largest marketplace for Icelandic travel. Find rental cars in Iceland to suit your journey, from budget-friendly to luxurious models. Rent SUVs, 2WDs, 4WDs, campers and campervans for the very best available price. Book unique and quality accommodations all across Iceland. You can find hostels, guesthouses, farm stays, bed and breakfasts, private apartments and luxury hotels. Read in-depth articles about Iceland’s nature, history and culture, as well as practical and lively travel information written by expert natives and long-term residents. Contact locals for personal tips and tricks. Dip into comprehensive travel blogs and discover all you need to know about Icelandic music, art, cuisine and daily life. 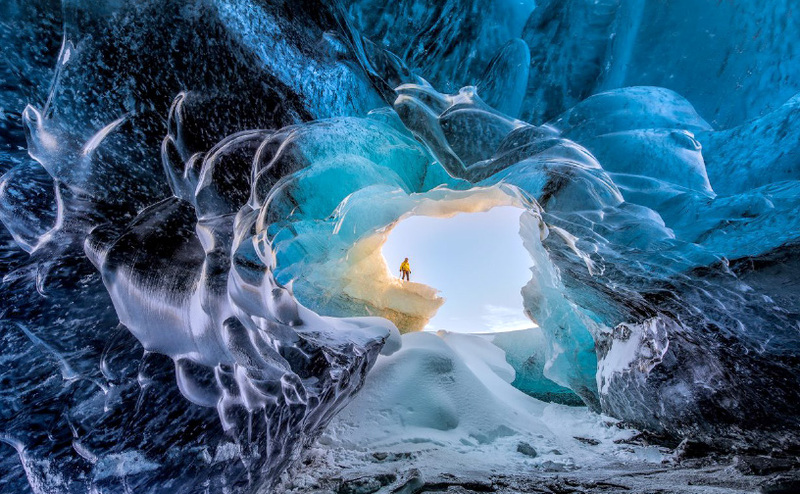 Marvel at Iceland's mystical landscapes from the captivating perspective of the award-winning Iurie Belegurschi, Guide to Iceland’s in-house fine art nature photographer. We are here to lead by example. We take pride in our ethics policy and incorporate it into every decision we make; honesty, trust and responsibility are the bedrocks of our vision, while a sincere commitment to environmental sustainability and management keep our hearts firmly set on the longevity and protection of Icelandic nature. At each level, integrity is the foundation for our daily practice, a critical aspect of both our advancement and international reputation. 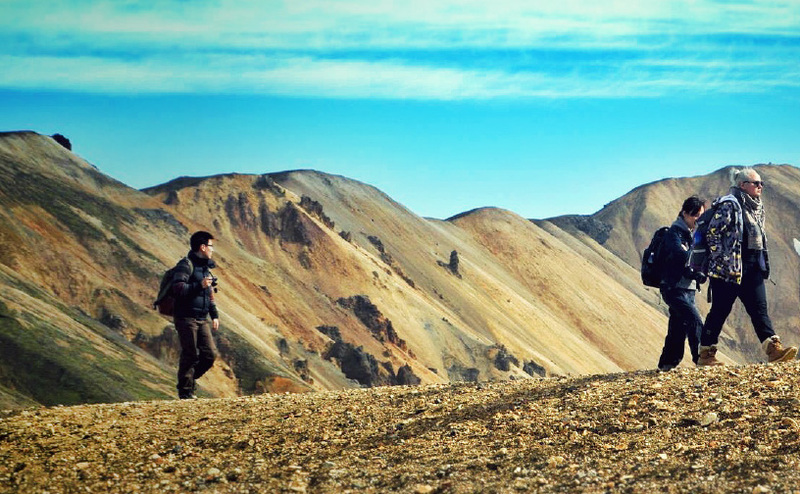 Our passion for Iceland is only met by our ambition towards service excellence. 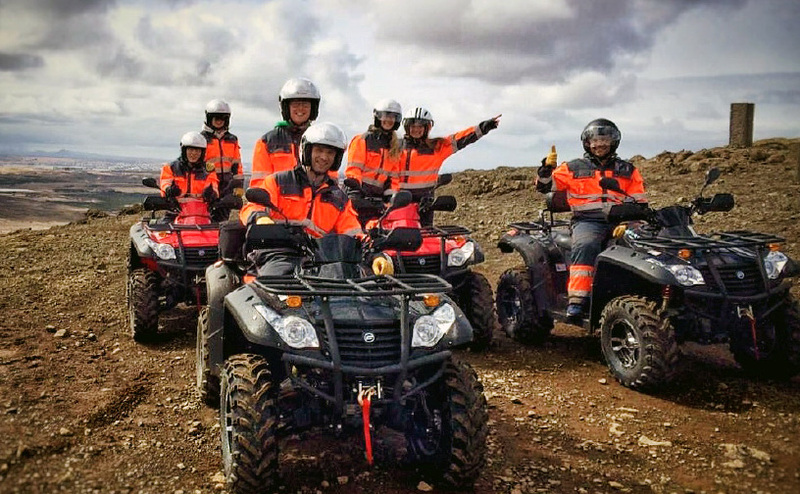 Our team is deeply knowledgeable of Iceland, the opportunities available here, and can answer virtually every query travellers to Iceland have. 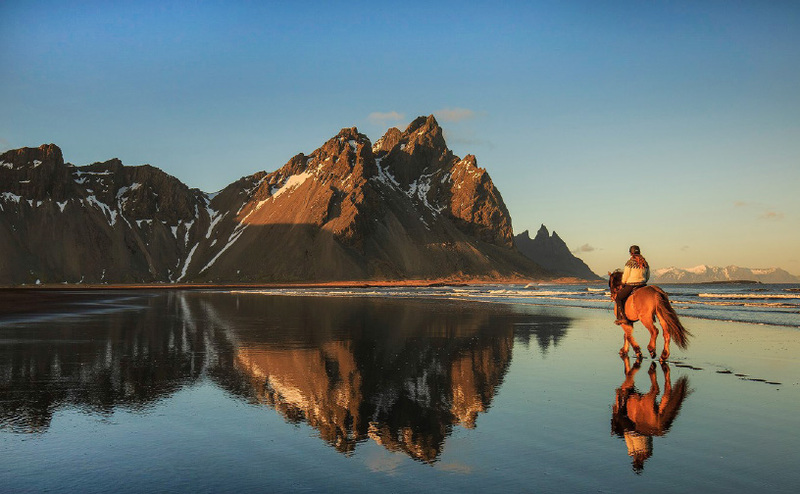 We will always provide up-to-date tour and travel information, for it is our loyalty to the customer, our working partners and the natural world that unites us, and has secured our position as the go-to industry leader for Icelandic travel services. 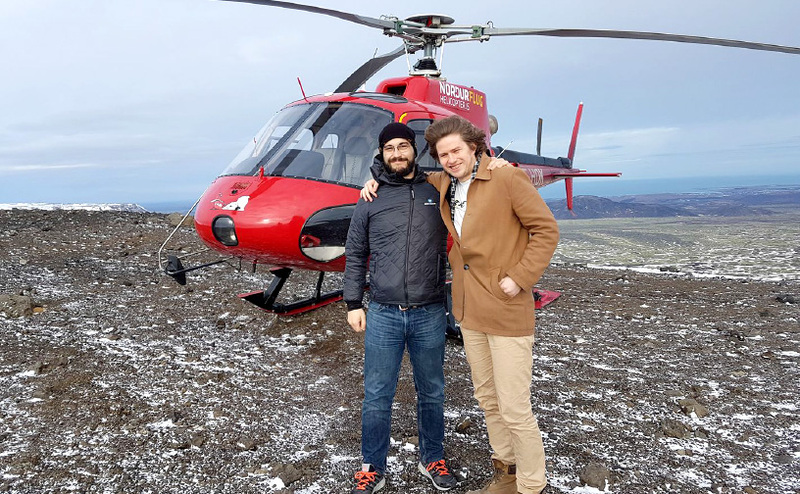 The idea for Guide to Iceland is sparked, and a small group of friends rigorously starts working towards creating an unprecedented online marketplace that will provide visitors with everything they need while travelling in Iceland. On September 18th, guidetoiceland.is is registered by the Icelandic domain registrar. Two months later, the website goes live, hosting eight locals that visitors can connect with to acquire personal travel information, tips and tricks. 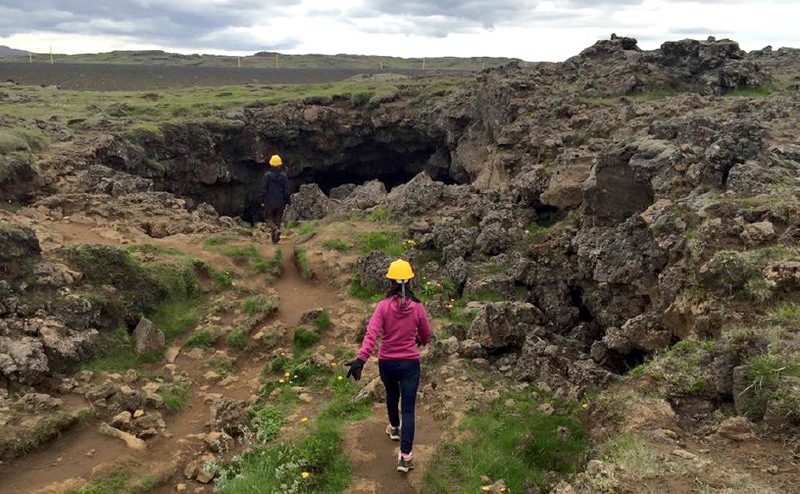 A handful of travel companies enlist and visitors can start booking tours through the Guide to Iceland website. The idea generates buzz and guidetoiceland.is is publicly voted 'Icelandic Website of the Year' at the Nexpo awards. Guide to Iceland moves from a founder's living room in the capital's west side, to the Icelandic Innovation Centre in central Reykjavík, where the work towards furthering the journey continues like never before. The Guide to Iceland network continues to grow. 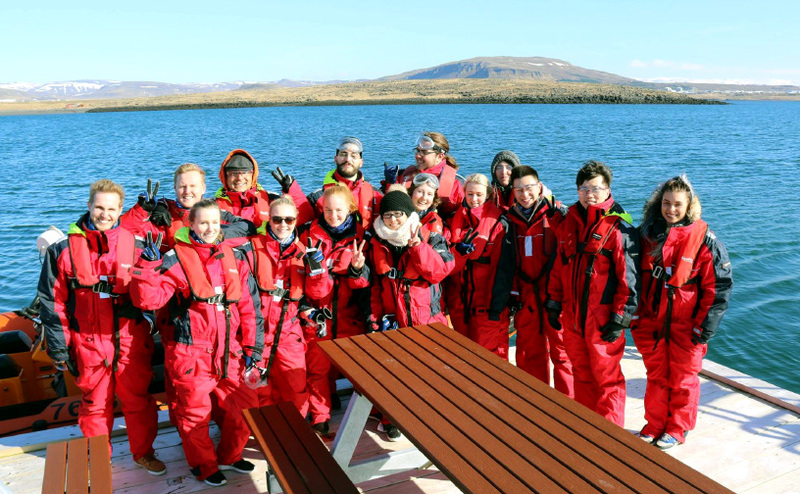 The social media community now consists of well over 200,000 users and followers and Guide to Iceland is named 'Most Influential Icelandic Company on Social Media' at the Nexpo Awards. In July, after months of coding and testing, Guide to Iceland launches its proprietary marketplace platform Travelshift. In September the first 100 suppliers have joined the online marketplace and listed their products on Guide to Iceland. 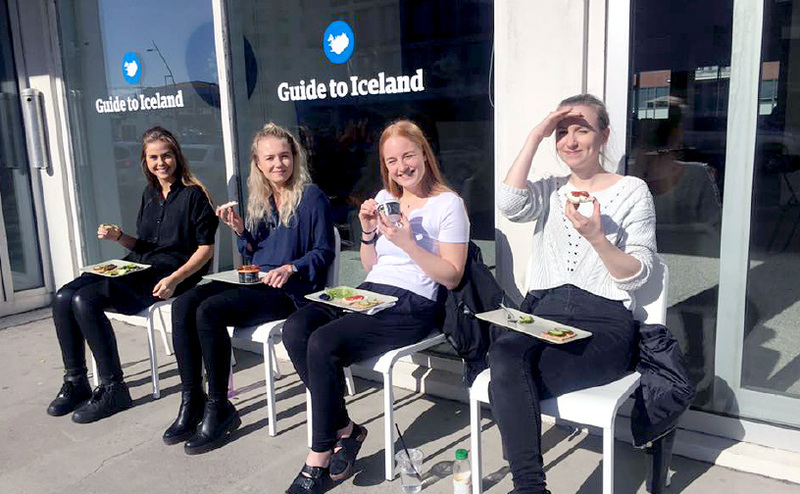 In March, Guide to Iceland moves all operations to its first official office on Laugavegur, downtown Reykjavík's main shopping street. The company has grown from six to twelve team members and launches seven additional languages. 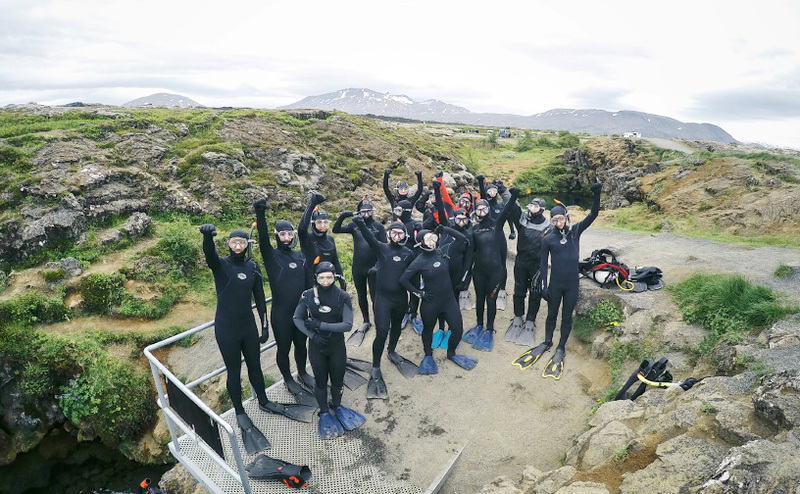 The summer season marks a victory for Guide to Iceland as the company's growth rate surpasses the national advance of the Icelandic tourism industry by miles. By the year’s end, ten additional members have joined the team. 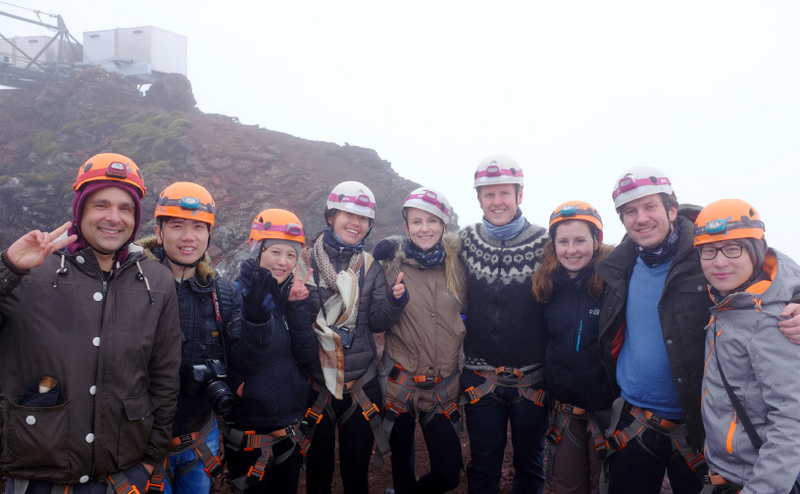 Guide to Iceland has outgrown its offices on Laugavegur. The company moves its headquarters to Borgartún 29 in the city's financial district, where the ever-growing team builds on Guide to Iceland’s experience and achievements. 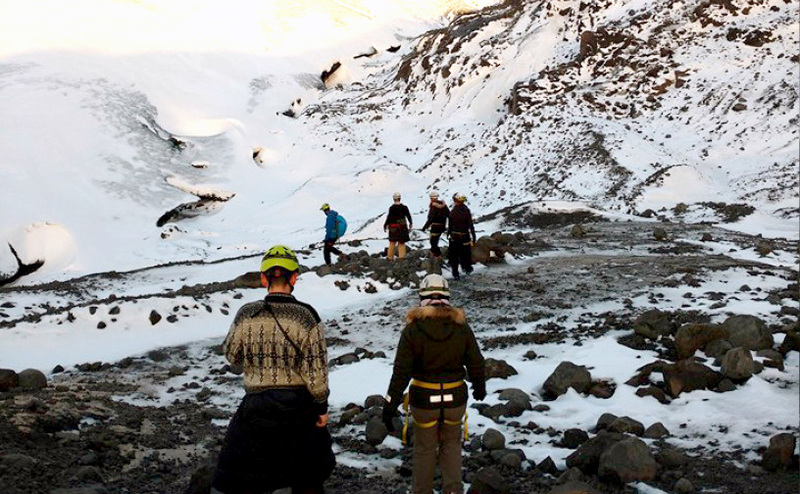 In January, Guide to Iceland becomes the official travel information provider for the city of Reykjavík. Our front office team starts receiving visitors in Reykjavík’s City Hall, providing personal services and expert first-hand guidance. Guide to Iceland is listed as one of the top 500 global websites in the category 'Tourism' by SimilarWeb, a leading authority in tracking and analysing website visits. Monthly visits to the Guide to Iceland website surpass 900,000. We want you to partake in this journey of growth and progression. 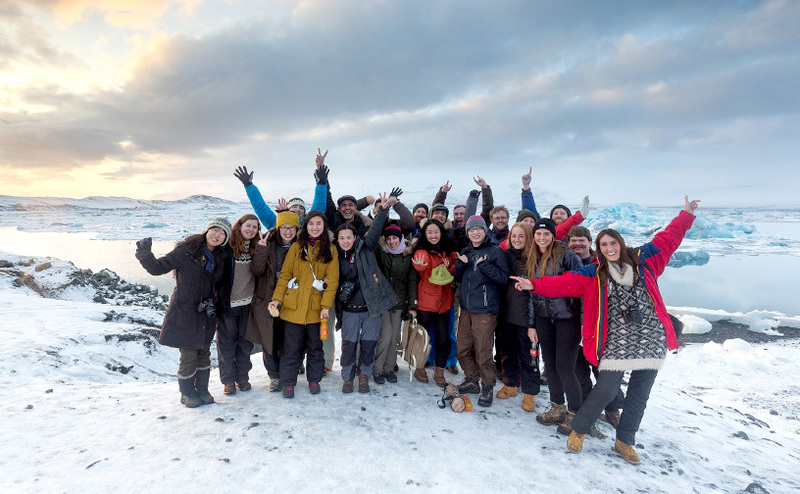 Guide to Iceland was created by all of us, for all of us. What first began as a small group of friends and entrepreneurs, has now grown into a much larger group of friends and entrepreneurs, bound together by mutual respect, cooperation and openness. 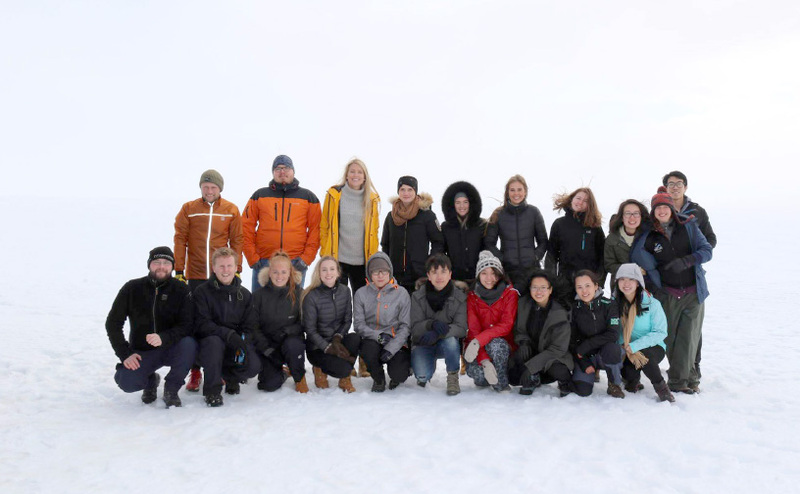 Today, our core team consists of over 60 members, both native Icelanders and foreign experts who are passionate enough to make Iceland their new home. Collectively, we encourage creativity, the sharing of ideas and a strong commitment to our goals, while upholding the shared responsibility of providing our visitors with the world’s best travel services.